Joel Johnston had a rough start in 1993, The Pittsburgh Post-Gazette wrote. That rough start included 12.2 innings where Johnston gave up 13 hits - and 24 total earned runs. "Putting him on the disabled list had to be done," Johnston's pitching coach at AAA Buffalo Tom Dettore told The Post-Gazette of stopping the bleeding. "He hurt everywhere, from the tips of his toes to the tip of his nose. ... We can all pat ourselves on the back and take credit, but, really, he was the one who did it." What Johnston did was come back from that awful start, and disabled list stint, to get back to the majors by July. Johnston ended up getting 33 relief outings for the Pirates that year, the most he would see in a single season. He would also see major league time, albeit brief, in two more big league campaigns. 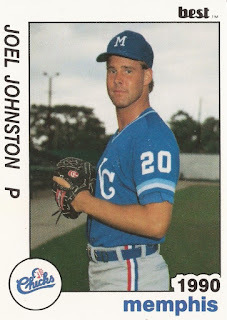 Johnston's baseball career began in 1988, taken by the Royals in the third round of the draft, out of Penn State University. 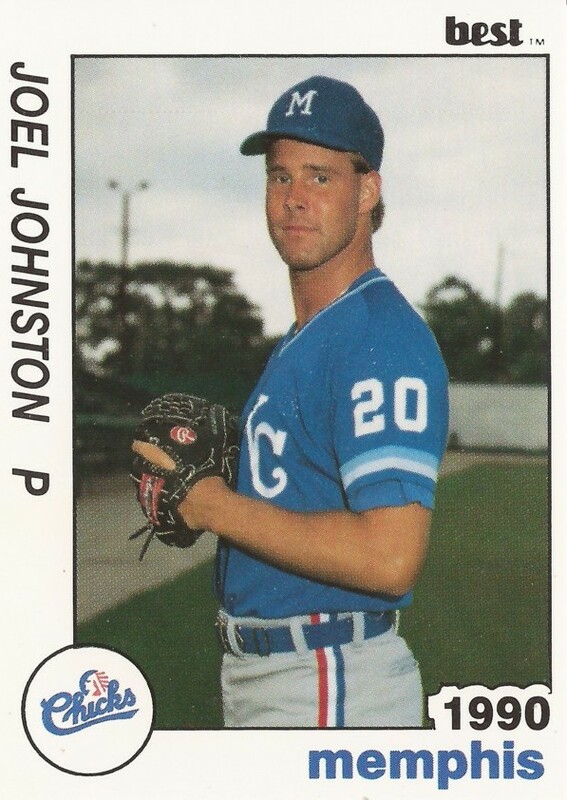 Johnston started with the Royals as a starter, playing at short-season Eugene. At single-A Baseball City in 1989, he went 9-4 in 26 starts. In 1990, though, he started work as a reliever, beginning at AA Memphis, but playing the majority of the season back at Baseball City. He also got a look that year at AAA Omaha. Johnston returned to Omaha for 1991. He also got his first look at big-league Kansas City. Johnston debuted with the Royals in September, getting 13 relief outings. In 22.1 innings of work, he gave up just a single earned run, for a 0.40 ERA. He got five more relief outings in 1992 for Kansas City, but gave up more runs. In 2.2 innings, he gave up a total of four runs. But then came that 1993 campaign. After being traded to the Pirates, and that horrid start, Johnston returned for those 33 outings in Pittsburgh. His ERA also hovered at 3.38. In 1994, though, he got just four outings with the Pirates. In 3.1 innings, he gave up 11 earned runs. Against the Dodgers April 17, his fourth outing, he went 1.1 innings, giving up eight of those earned runs. "I knew I was going to pitch," Johnston told The Post-Gazette after that Dodger game. "That was fine with me. I wanted the work. But the game today was not much of a boost for my confidence. Everything I threw up there, they pretty much hit. You just hope to get through it." It was his last game with the Pirates. By late-May, he was released. Signed by the Blue Jays, Johnston played out the year at AAA Syracuse. After signing with the Blue Jays, Johnston told The Philadelphia Inquirer he was just looking to get back to the bigs. "It's kind of an up-and-down life in the minors," Johnston told The Inquirer. "It's so hard to get to the major leagues that once you get there, you'd like to stay there." Johnston played just one more season of affiliated ball, returning to the bigs with Boston for four final outings. One more season in independent ball and his career was done.